AT&T Dedicated internet provides connectivity for guest rooms and offices at the resort. 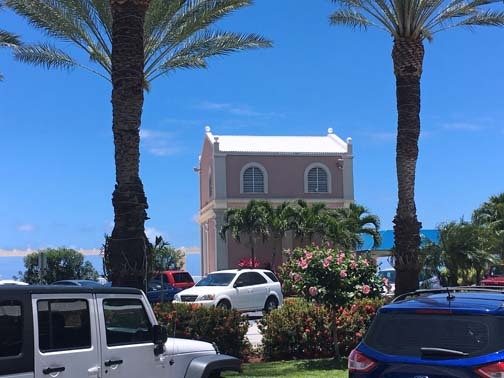 AT&T has beefed up its mobile internet service at Frenchman’s Reef & Morning Star Marriott Beach Resort, adding a Distributed Antenna System (DAS) on site, the carrier announced Monday. As AT&T continues upgrading and improving its 4G LTE network, it is laying the foundation for its evolution to 5G, the next generation in network technologies, the carrier said. The Frenchman’s Reef & Morning Star Marriott Beach Resort has been using AT&T business solutions for more than 15 years. Hey Buddy!, I found this information for you: "AT&T boosts mobile internet signal at St. Thomas resort". Here is the website link: https://newsismybusiness.com/internet-thomas-resort/. Thank you.